Search Engine Optimization Basics: In this competitive world, every business is looking for great heights and better search engine results on Yahoo, Google, Bing and other top engines. 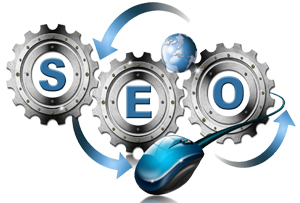 The process of search engine optimization involves the method of improving your website ranking using off-page and on-page optimization techniques. This means that whenever an individual search any specific keyword related to your business, then your business website must exists in the top search list. Search Engine Optimization, as the name suggests help to optimize your business in combination to the specific keywords that people usually search for, during internet hunt. The complete process includes researching keywords, building links, creating genuine content and ensuring website existence in the immediate search. We are one of the leading SEO Services Company in Chennai and we also provide our services in other major cities in India. Search engine optimization is a technique that features the task of making sure that a company’s name and profile gets a higher position in the listing of various search engines on the web. We are a Website Promotion Company that presents varied options in terms of building links and researching keywords. Website Promotion Company in Chennai is necessary for all those web applications which are not common enough. The visibility is required for them in order to attract the customers. For smart promotion of your products at affordable prices you can find us any time.